I LOVE having fun with quilts and so does my friend Gailen Runge. 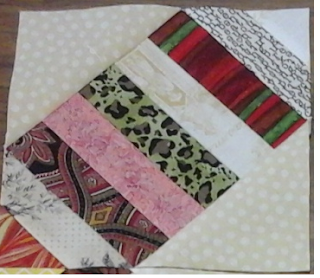 She designed this super cut Emjoi quilt. All the ones you know and USE are here! With 60 mix and match items! The quilt of them is darling. 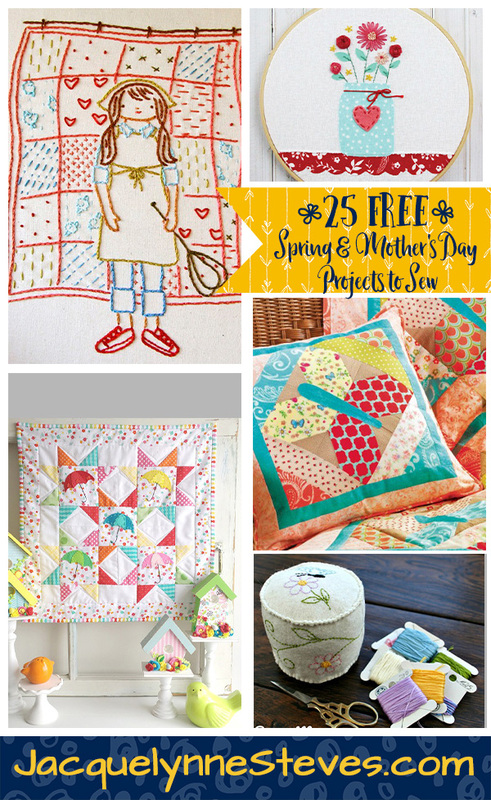 A fun quilt for a kid or your favorite internet friend! How about your favorite 3 for a bolster pillow? Super fun in the den! Welcome to the 12th week post of the 52 weeks of hot pads / quilted pot holders. Guests Ann Shaw, Karen Tripp, Kristy Daum, and Jyane Willis join Pat for a chat! CLICK THE PLAYER & Listen to Show 415 -- My favorite find at the end! I had not taken part in a swap in a very long time, so when I spotted the call for sign-ups for the #petitepatchworkswap, I put my hand up even though the sensible side of my brain knew that my time is limited and I should not. The swap organiser, @jasminesews, asked everyone to make a pouch and a small placemat or large coaster – small and manageable, I thought. Thank you for watching my Fireside Chat! 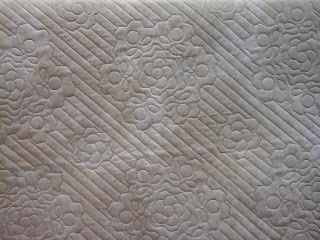 I taped this on Mar 30, 2019, I'm so happy to have you as in my quilting neighborhood! LISTEN to the end for my GIVEAWAY and leave your comment below. **Go to >> www.youtube.com/user/PatSloan/ and subscribe to my videos, click the BELL to get notices of new ones! **See more on the Baby lock Jubilant and you can purchase it online. This hasn't been picked up yet...stay tuned for next week. Here's one of my drag-around projects that I was working on at retreat. I am hopeful that I can finish piecing the top when I head up to Margaret's in May. It's made from 100 of these. It starts with 100 strip sets, then you add corners to two opposite sides and square 'em up. Those corners are a pale muted yellow. Indulge yourself in the sights and sounds of Paris in the Springtime, all packed inside your March Sew Sampler box. The latest fabrics and notions couldn’t be more charming! Grab a baguette and a glass of wine and let’s reveal the contents of this sophisticated subscription box! Today for my TulipFest Sew Along it's time to make a block. I just got my quilt back from my publisher and went outside to take this photo, just in time for today! 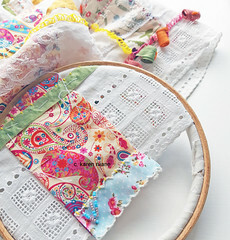 During this sew along you can make the quilt. Either this size, smaller or larger! 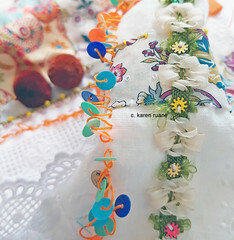 Or you can make a table runner. 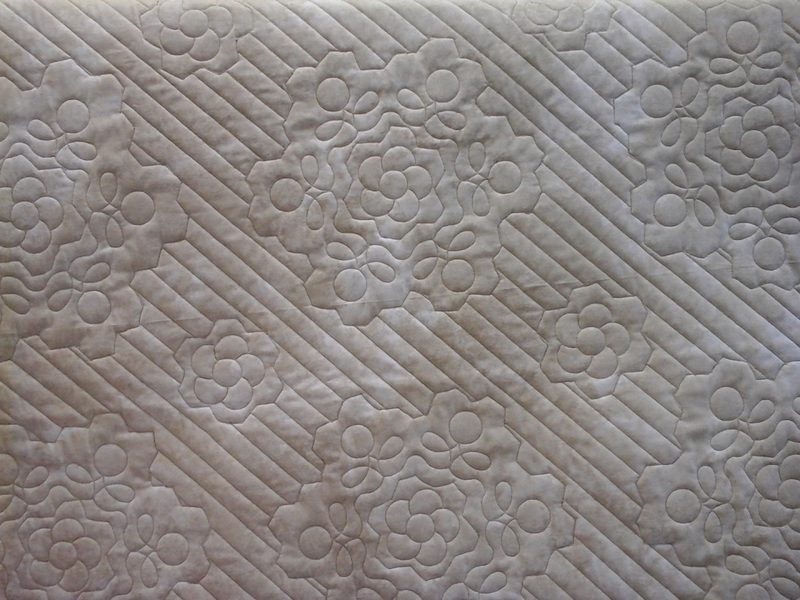 I LOVE how this turned out and the quilting my friends Cindy & Dennis did for me is perfect. Maybe you want to add some placemats? They are one of my favorite things to make to change out the seasons! I'm super excited to share with you our designer Jessica Swift's latest collection, LUGU! If you love a deal like I love a deal, here is one you'll want in on! I'm super excited to show you this great 3 month subscription discount at Bluprint where you can take alI the classes with just one subscription. UNTIL April 1 you can get 50% off your first 3 months of Bluprint Subscriptions! Regular monthly price is USD $7.99, now only $3.99 a month for the first 3 months. That's it Click, watch, Learn!